When you hope to have the smoothest transition possible between seasons in Chuluota, Florida, it’s important to call for expert AC service Chuluota trusts, the professionals from DC / AC Air Conditioning and Heating for all your HVAC needs. The warm and temperate, and even sub-tropical conditions of central Florida call for expertise in all the nuances of HVAC maintenance and repair. Not only do temperatures soar in the summertime in Chuluota, the humidity can become unbearable without properly operating air conditioning. Your smartest move is relying on the expertise of local Chuluota air conditioning repair. 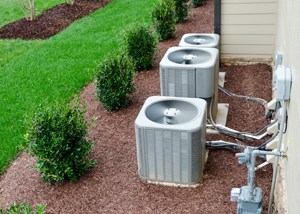 Local technicians know the unique factors of the area like humidity levels and projected rainfall. Excessive heat that is sometimes a factor in Chuluota can also be an issue. Those who are susceptible to heat related illnesses like heat stroke or heat exhaustion are most negatively impacted by the drawn-out stretches of heat sometimes experienced in central Florida. People affected most include young children, the elderly and pets, especially pets with thick, heavy fur coats. The heat makes susceptible people feel worn out, tired, and lacking in energy. Sleep can also be affected by excessive heat, making having a phone number handy for excellent Chuluota AC repair an absolute necessity. Professional technicians from DC / AC Air Conditioning and Heating are carefully selected from a talented pool of skilled and well-trained specialists. 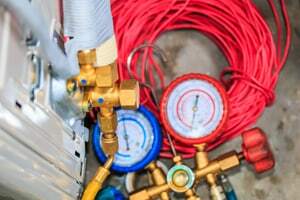 Technicians are kept up-to-date on all the latest air conditioning and heating systems and the current best practices for providing the AC service Chuluota residents and business owners rely on for excellence. Our specialists adhere to tenets like professionalism, honesty, integrity and a straightforward approach to affordable AC repair Chuluota depends on. When our specialist pulls up to your home or business, you can rest assured that they’ll display qualities like neatness and politeness, along with having a fully stocked vehicle with all the parts and supplies necessary to provide exceptional AC repair in Chuluota Florida. We’ve worked diligently to achieve an A+ Better Business Bureau Rating. We do everything possible to keep that rating at its highest point. We believe you’ll appreciate our straightforward way of doing business and our dedication to delivering the expert AC repair Chuluota expects from true professionals. When we show up for work at your home or business, you’ll receive a thorough diagnostic check and analysis of your system, along with the free AC repair estimate Chuluota has come to rely on for accuracy and fairness. We go over everything that needs to get done, along with letting you know the approximate time your repairs or service will take, cost of parts and labor, and the extent of the repairs you need. If it’s found that you need to have your system replaced, we believe you’ll be impressed with our technicians knowledge and familiarity will all the newest air conditioning systems. We’re known for taking our time and truly listening to your needs, along with patiently answering all your questions. 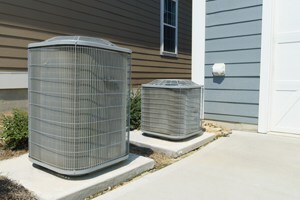 Getting a new air conditioning system is one of the biggest investments you’ll make in your home. We realize what an important decision this is for you, and we’re there every step of the way to explain all the newest systems and the qualities that make each a good choice. 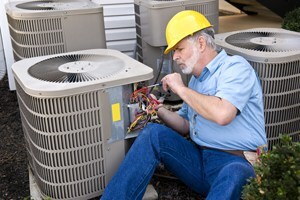 We know that you have the AC repair costs Chuluota experiences at the forefront of your concerns. New systems are often less costly to operate and work more efficiently than ever before. We believe you’ll be impressed by the latest energy efficiency ratings and the impact that a well-running system has on your monthly utility costs. You’ll love knowing that these new systems are eco-friendly and more efficient to use than ever before. We know you’ll appreciate the top-notch residential AC repair Chuluota FL residents and businesses rely on, expertly delivered by DC / AC Air and Heat. The thing we appreciate most is when the AC repair Chuluota relies on is highly recommended by you to your family, friends and co-workers. We strive for 100 percent customer satisfaction. We maintain the highest levels of integrity in every service we provide.